This chalkboard is a fantastic home accessory. 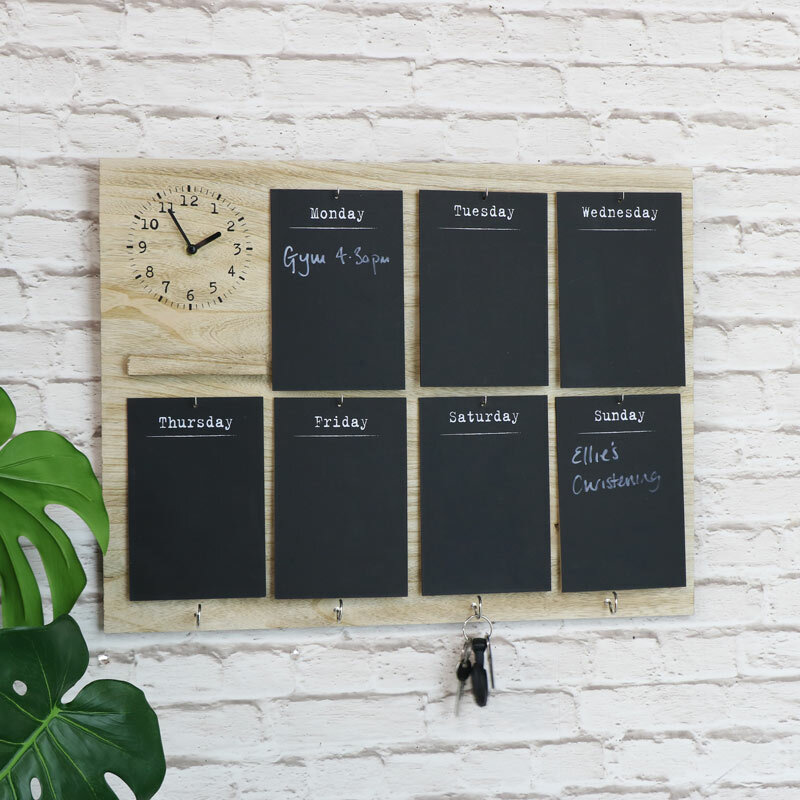 Stylish rustic design, this features blackboard plaques titled with days of the week and a clock in the corner and key hooks on the bottom. Ideal for keeping you organised and on time. Multi function design that is so practical. 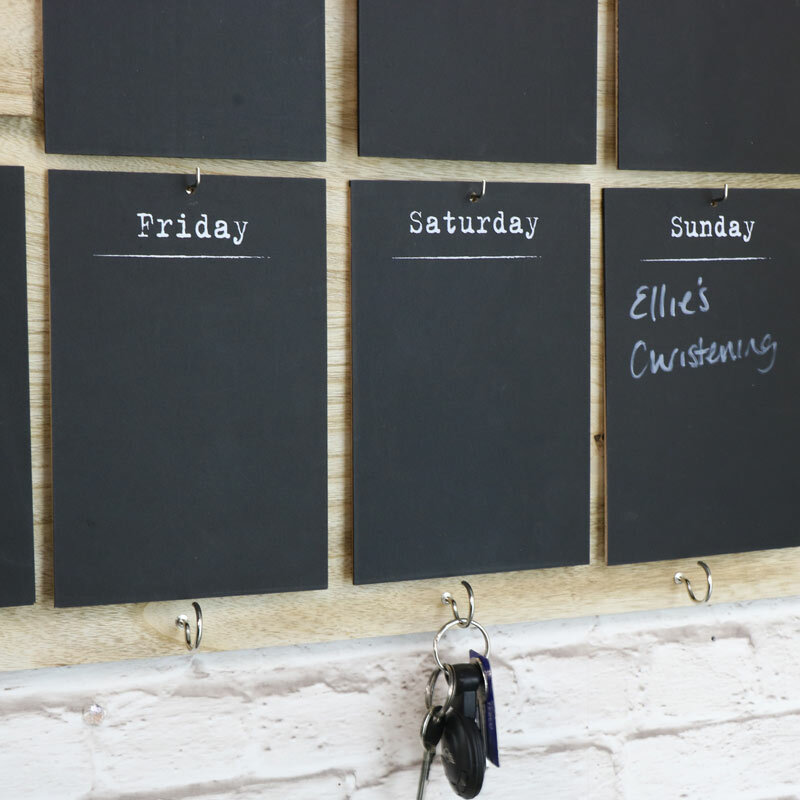 Perfect for hanging in the kitchen, the blackboards are just what you need for making memos and notes, making shopping lists, meal plans or for keeping track of appointments and offers the best place for keeping your keys safe and within handy reach. A great little organiser for the home and a great gift idea. 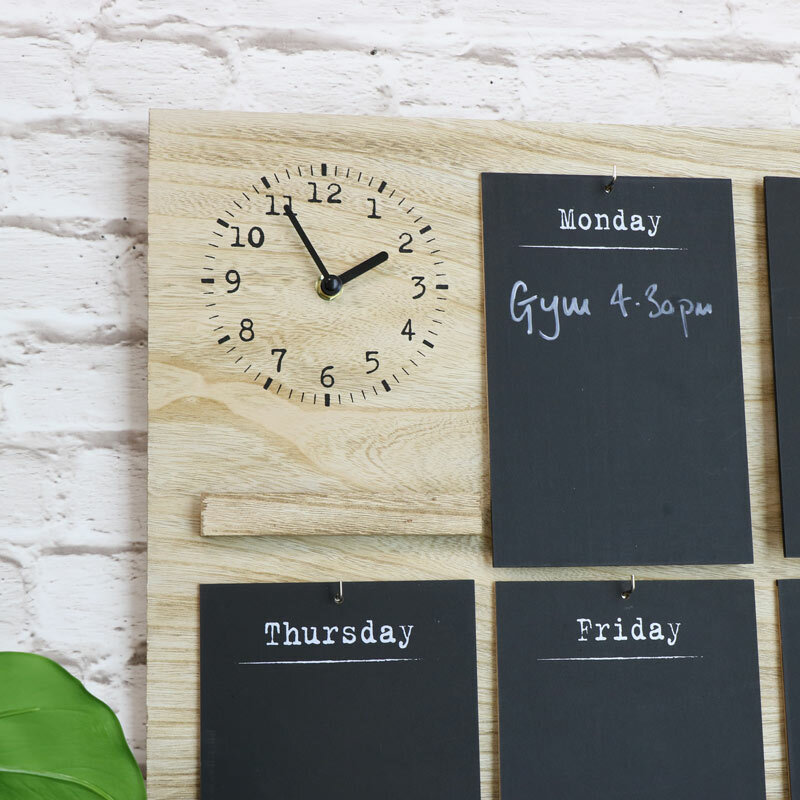 Rustic natural wooden board with 7 hanging blackboard plaques, 4 hooks and clock. The clock takes x 1 AA battery (not included). Easily wall mounted with 2 hooks on the back for hanging. (Please be aware that chalk pens are unsuitable for use with this board and may stain). Part of our fantastic range of gifts and accessories, this chalkboard is just one of the many we have available for you to choose from, in freestanding and wall mounted designs and a great addition to our range of clocks.